I have come out of magazine retirement and I’m delighted announce I am the new Editor in Chief of Four Four Two. LUFC content in the mag will go through the roof. CBIT Good rag that, used to read it cover to cover many years ago. Saw it on FB. Might even buy it now. If he’s fallen on hard times, we could’ve had a whip round. He shouldn’t be reduced to those sort of situations. I’m hoping that it’s not going to go all “Lad”, but if so I have some ideas for items. 4) Look at this picture of a posh bird. Phwoar! For all of you who kindly applauded my full time return to magazines with Four Four Two I’ve asrranged a mates rate subs offer. Three for the price of one. The first issue i’ve had any influence over is rammed with #LUFC and has a lot of #MUFC, #NUFC too. Plus Wolves, West Ham, QPR, Chelsea amongst others. It will help me massively if you fancy spending a fiver. Has this one got the Bielsa article I’ve heard rumours about ? Signed up for that deal but it says the first issue is May, so I’ll miss the Bielsa issue next month, is that right ? Any digital option for those not in UK? 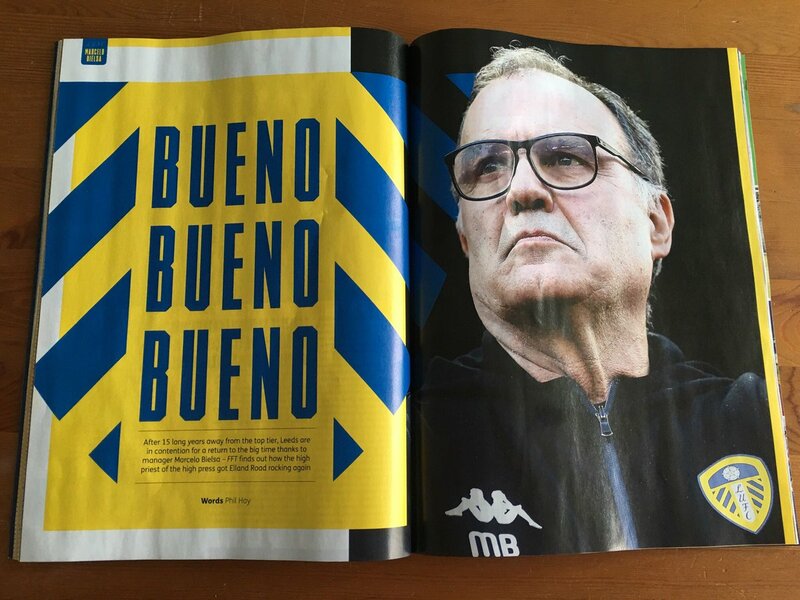 Lots of Bielsa articles please! Mike_Jones they deliver overseas, or used to. Mike_Jones You can buy it in Barnes and Noble. And by buy I mean read, obviously. Confused.com….or is he just plugging on DHM’s behalf? I guess it’s a quote. Both good people, but not the same person.